Facebook/Chloe's Soft Serve Fruit Co. 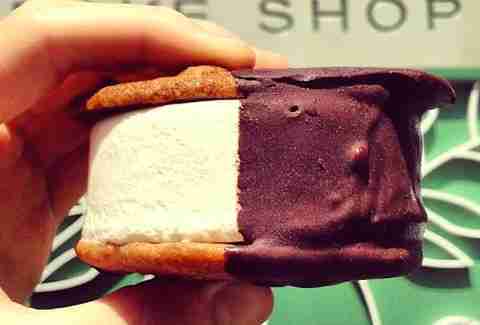 I scream, you scream, the Hamptons scream for ice cream. While Summer vacations have become shorter (non-existent) since childhood, our cravings for pies, cookies, and ice cream sundaes in freshly baked waffle cones have weirdly only intensified. 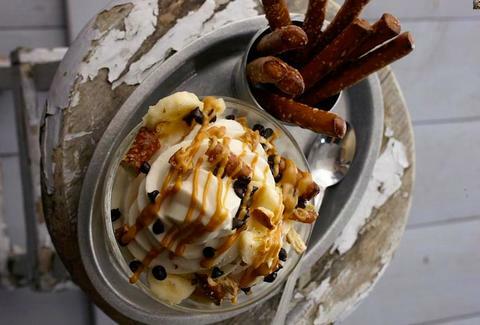 Call it the munchies if you must, but the little kid in us is still screaming for ice cream and Thrillist has the five best dessert places in the Hamptons to satisfy your sweet tooth. If you’re trying to harken back to your screaming for ice cream days, Big Olaf is your spot. Located right on the water, Big Olaf provides benches lining the sidewalk outside, creating the perfect place to enjoy their famous homemade cones and the very generous portions of ice cream that fill them. Yes, there tends to be quite a line. Yes, the smell of waffle cones baking throughout the day will make you wait in it anyway. Just remember to bring cash. Don’t let the Soccer Mom seal of approval scare you off of these all-natural fruit frozen treats. 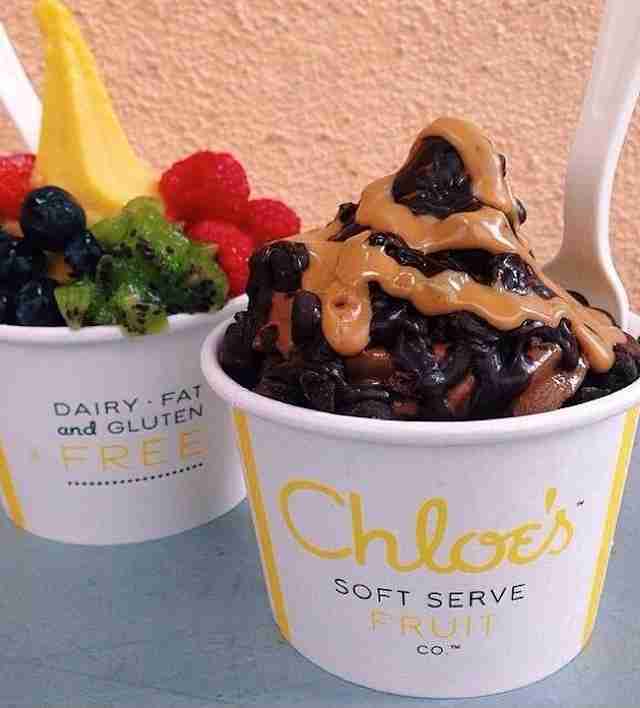 Chloe’s offers sweet and savory flavors such as the Crunchy Salty sundae made with Banana & Dark Chocolate Soft Serve Fruit, banana, pretzels, warm natural peanut butter, and melted chocolate; and the Smores Sundae with Dark Chocolate Soft Serve Fruit, banana, marshmallows, warm natural peanut butter, and whip cream. There's still plenty of indulgence here. The classic crunch of Tate’s cookies eventually grew into a nationwide phenomenon, but this is where it all started. They've expanded their game to pies, scones, bread pudding, and brownies, but you're getting the Tatewich: two signature chocolate chip cookies stuffed with vanilla ice cream, with some bonus chocolate for good measure. Good luck limiting yourself to one of these. 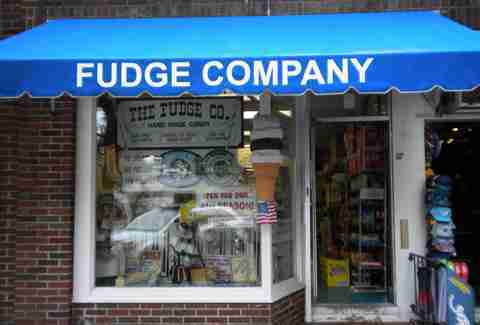 The Fudge Company in Southampton does not fudge around with their fudge, nor their candy and ice cream. The shop has been satisfying customers’ sweet cravings since 1973. Worth every penny, the exotic and traditional fudge (try the maple walnut) comes priced at $23.95/lb. You'll also find classics like salt water taffy and other traditional candy shop fare here. A classic luncheonette and soda fountain shop, Candy Kitchen offers a variety of both homemade ice cream and milkshakes, and also Page-Six clientele. Located in a Bridgehampton town on Montauk Hwy, the ice cream parlor is decked out in memorabilia and tokens of an old-fashioned diner from the 1950s. 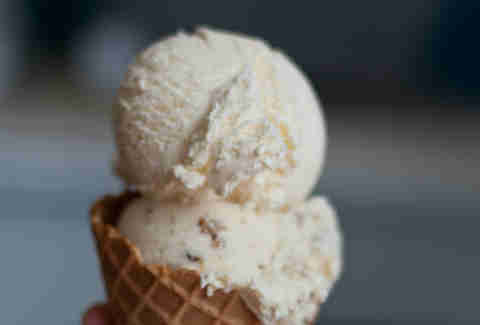 Their ice cream, however, is timeless with a wide range of classic and innovative flavors. 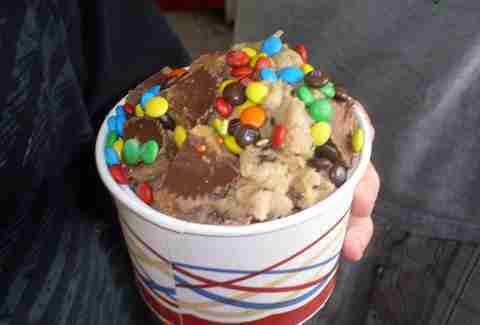 Candy Kitchen also offers tubs of soft and rich ice cream to take home for make-your-own sundae stations and late-night eating. Once again, be warned: bring your cash.